I just realised that I have published only one post in the whole sweet month of September. Front Row Shop is an online shopping portal that stocks a most fabulous collection of clothes & accessories for the fashion-loving women out there. Their pieces are well-cut, simple & chic with smart little details, thus making each product covetable & quite irresistible! The dress came around 20 days after ordering and the packaging was properly & safely done. When I opened up the dress, it was love at second sight! 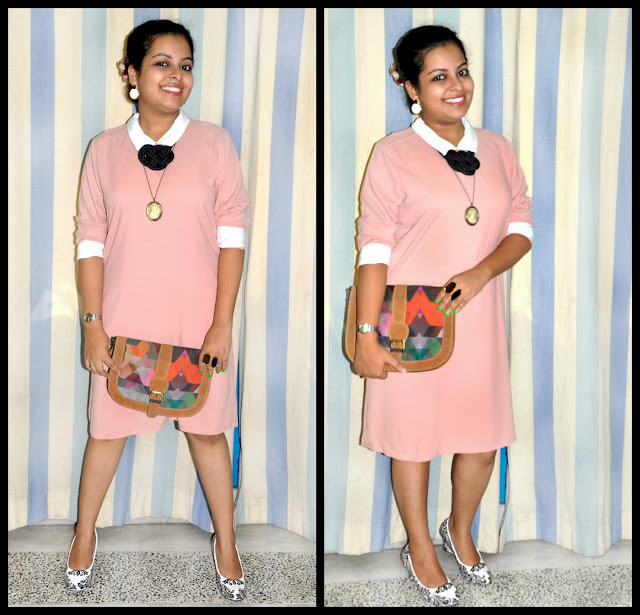 The minimalist silhouette, the pretty blush hue & the chic white collar & cuffs looked even more perfect up front. 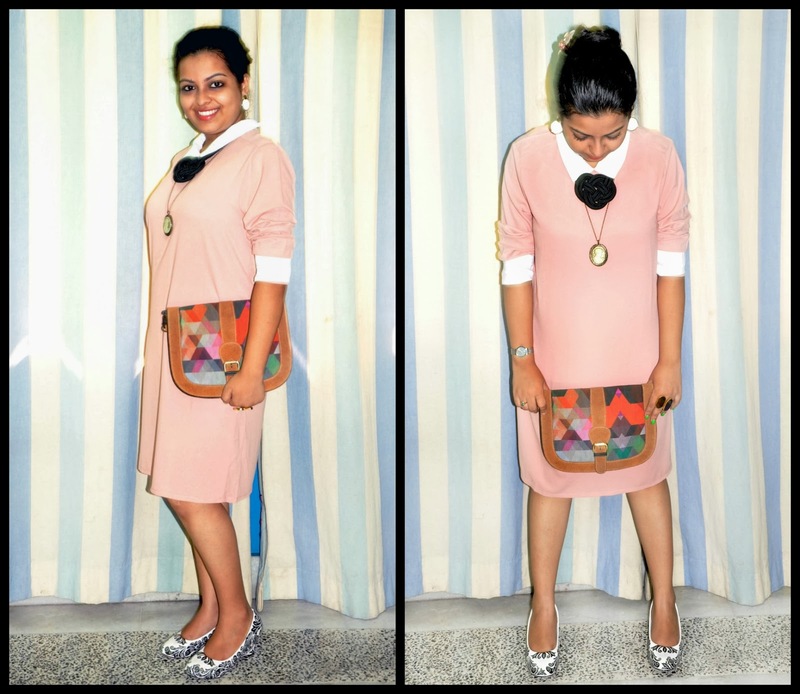 So, even though I'm busier than ever with work, I wore this dress at the first given chance (which was yesterday!) and fell in love a third time over! The simple cut of the dress, coupled with the beautiful color & smart details made it the final pick for me! I can already see myself wearing this dress in a number of ways - that's the beauty of simplicity, you can create magic with it. The dress was as comfortable as it is pretty! The fabric is light, airy & of good quality & so are the trims. 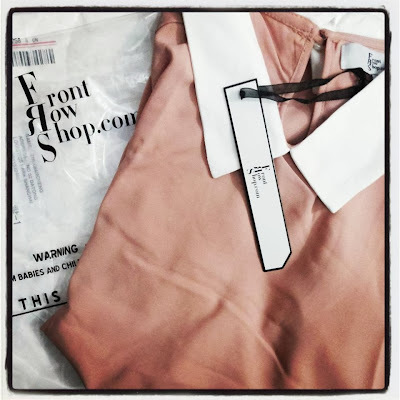 All in all, I'm absolutely impressed by Front Row Shop and would recommend it to all fashionistas out there who want to get their nail-arted hands on anything that's not run-of-the-mill, but unique & high on the style-meter! So, what are you waiting for? Click on the link to the website provided all over this post or avail the Front Row Shop banner that you can see on the right hand side bar of this page. Disclaimer: This is a sponsored post, but the opinions & views expressed here are entirely my own. Oh dear dainty lady, you are grace and poise personified! Love, love, love everything about that look! So pretty and posh!Lovin it! I'm not used to seeing you in such pale colours, Anu - whenever I think of you, my mind goes straight to vibrants pinks, yellows and greens! 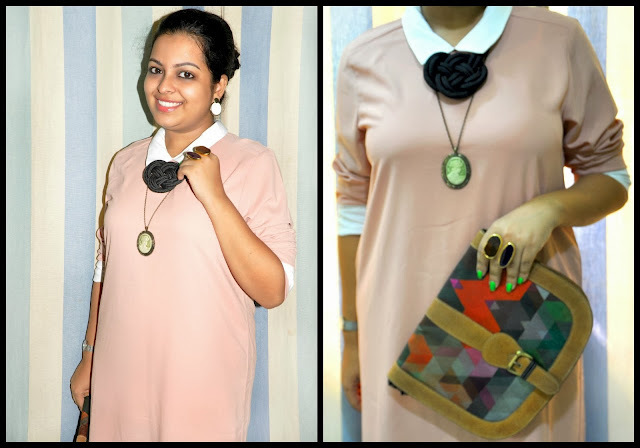 But this soft rose shade is the perfect colour on you and I love the simple sophistication of this dress. Absolutely stunning! 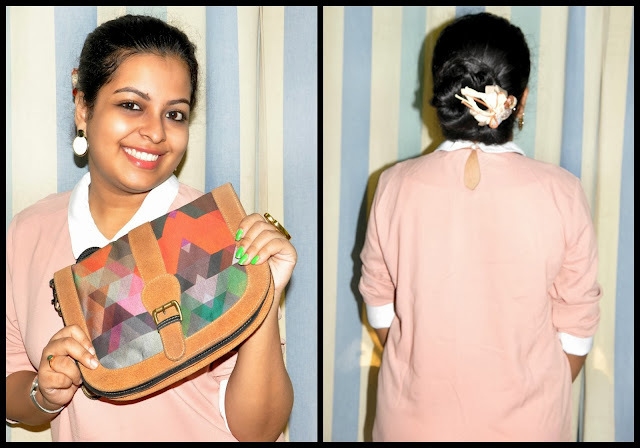 Great styling and the bag is terrific ..you are a natural A!